FLIR Systems GFx320 Optical Gas Imaging (OGI) camera is able to set a new superior standard for gas leak detection performance using its unique High Sensitivity Mode (HSM). High Sensitivity Mode is based upon an image subtraction video processing technique that effectively enhances the thermal sensitivity of the camera. The HSM feature subtracts a percentage of individual pixel signals from frames in the video stream from the subsequent frames, thus enhancing the differences between frames, which make leaks stand out more clearly in the resulting images. Using the high sensitivity mode even the smallest of gas leaks can be spotted using a GFx 320 OGI camera. 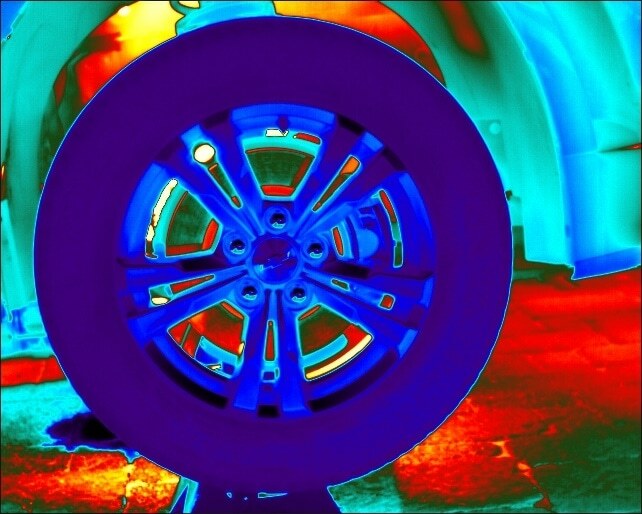 The FLIR GFx320 offers quick, non-contact measurement of gas leaks in real time. Where many other measuring instruments only present users with a number, the FLIR GFx 320 presents visual information, making the leak detection process more intuitive. Optical gas imaging cameras can also be used in hard-to-access locations, since they can detect small leaks from a distance. Unlike restricted point measurement provided by ‘gas sniffers’ a GFx320 OGI camera allows you to detect gas leakage anywhere within the field of view of the camera. This accelerates the process of inspection for gas leaks considerably. 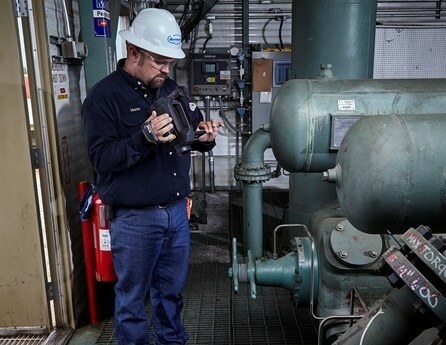 The GFx320 is independently certified as “intrinsically safe,” allowing for quick detection of gas leaks while maintaining safety inside hazardous locations. The GFx320 visualizes small hydrocarbon leaks with the sensitivity needed to meet the US EPA's OOOOa methane rule. Finding and fixing these leaks can save companies thousands of dollars in lost gas and lost profits. To download a technical note describing FLIR’s unique High Sensitivity Mode in detail please visit http://www.flir.co.uk/cs/display/?id=62379. For further information on the GFx320 OGI camera please visit www.flir.co.uk/ogi/gfx320/ or contact FLIR Systems at [email protected] or +32-3665-5100.